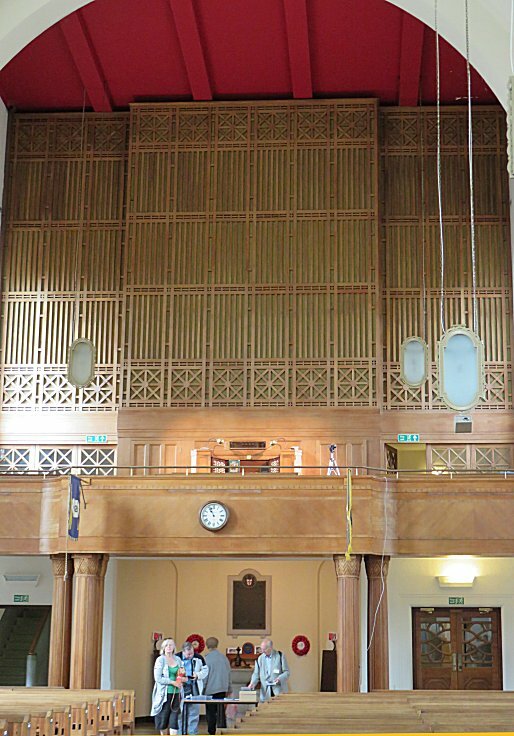 This instrument must have a good chance of taking first prize in any competition to find the loudest school chapel organ, certainly in the UK, which is all the more astonishing given that the pipework is hidden behind a timber grille (see central photo). To be fair, when the chapel is full with over 700 school pupils singing at the tops of their voices rather than about a hundred silent IAO Congress delegates, full organ may not seem quite so devastating, but some of us were left wondering about the need for ear protectors! This largely unmolested HN&B has seen only one significant change since 1933: the addtion of general pistons and a digital record/playback system. However other changes have affected the impact of its sound in the chapel. In 1982 a fire caused major smoke damage. 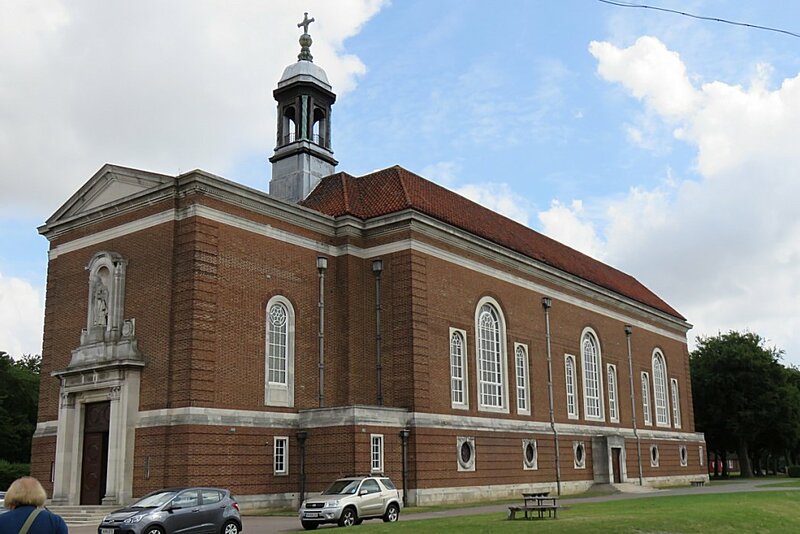 The resulting redecoration increased the chapel's reverberation time to about 7 seconds and the grille's damaged fabric backing (that had stifled upper frequencies) was removed. Paul Hale has written: "The sonority and smoothly voiced creaminess of the organ is prodigious and its softer colours delight...". Perhaps even more so than in other cases, this monster instrument tends to divide opinion. While some shake their heads and walk away, many regard it as a masterpiece of the 1930's English grand organ style. It has recently been awarded a Grade 1 Historic Organ Certificate. 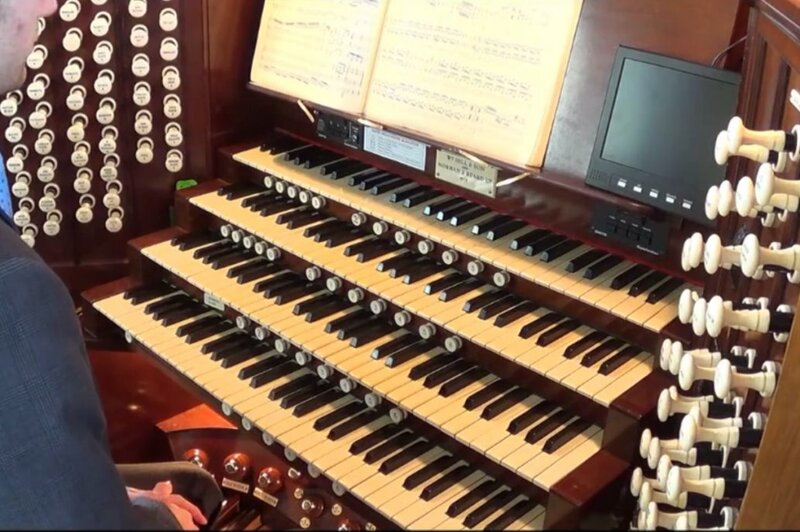 You can listen to this organ as March 16's Music of the Month.